With the sun shining bright and the leaves crunching beneath our boots, its been a beautiful autumn week here in Portland. 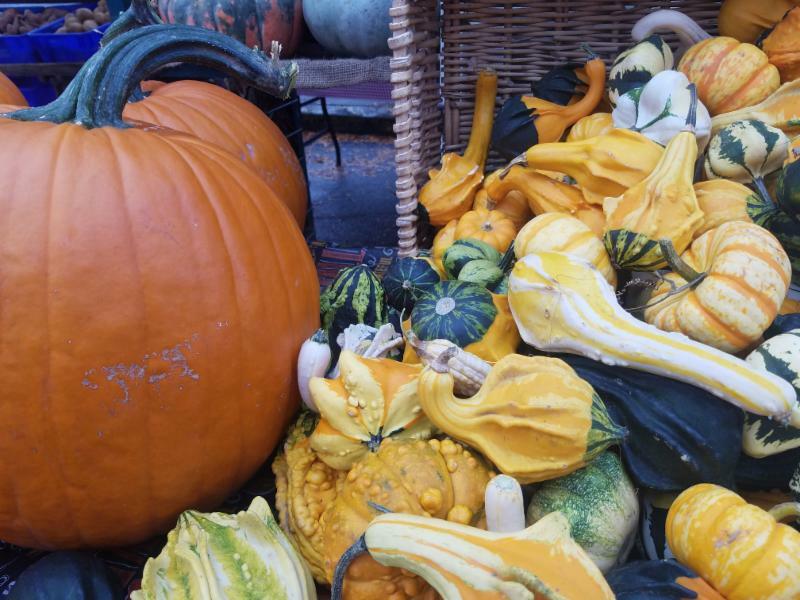 Savor everything amazing about the fall season by stopping by market this Saturday to grab fresh chestnuts, tender greens, sweet tomatoes, crisp peppers, and colorful winter squash. Don't forget we open at 9am! The sun is out, but there's still a bite in the air. Warm up your hands with a cup of mulled cider at Suzette Creperie, or pick up a hot bag of fresh roasted chestnuts from Bill over at Nature's Wild Harvest. We'll also have Freeland Spirits at market offering their locally crafted whiskey and gin. This October we welcome new vendor NOBULL Specialty Foods to the market. Lani Raider and her small team have created a plant based scratch food starter that's showing up in kitchens across the Portland area. Winning the Most Innovative Small Business award from Portland Business Journal this year, NOBULL is excited to share their full product line with you. We wanted to take a minute to thank everyone who donated to and bid on items at our Silent Auction fundraiser last month. Thanks to all of you, we were able to raise $3,000 for our SNAP Match program. These funds will go a long way to helping low income shoppers access farm direct, fresh, healthy foods at the market. If you'd like to continue supporting the program you can do so by donating here, sponsoring SNAP Match through your organization or business, or attending our next fundraiser! 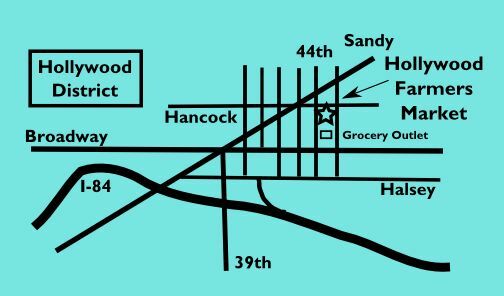 During our October 27th market we will be hosting our annual Hollyween. Alongside our beloved Family and Pet parade, we will be holding a pie contest and sale with all proceeds going to our SNAP Match program. Costumed parade is at 11am and we will be releasing details about entering our pie contest in the weeks to come! Salt the sliced mushrooms and let sit. Boil pasta in a large pot of heavily salted water until al dente. Heat a skillet over medium heat. Add 1/4 cup olive oil and garlic. Saute, stirring often, until the garlic is aromatic, about 1 minute. Add the mushrooms and rosemary, stir well. Continue to cook until the mushrooms start to release their moisture. Add wine and stir well. Continue to cook until the wine is almost completely cooked away, about five minutes. Season with salt and pepper if necessary. Reserve in the skillet while you prepare the pasta. Bring a large pot generously salted water to a boil. Add the pasta all at once and stir a few times to separate the strands. Cook uncovered at a gentle boil until the pasta is just tender to the bite. Transfer a 1/4 cup of pasta water from the pot to a bowl or cup to have ready for finishing the sauce if necessary. Drain the pasta and shake well to remove any water. Pour the drained pasta into the skilled with the mushrooms. Add the cheese, butter, or olive oil. Stir until evenly bleneded, add some of the pasta cooking water if necessary. The pasta should be creamy not oily. 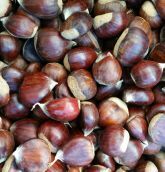 Recommended by the Big B himself, Frank Battilega, says, "Chestnuts are my favorite this time of year...It's one of the things Italians are known to have around the farm." While they take a little love and patience in preparing them, their sweet nutty goodness is well worth it. Eat them on their own, or add to a Autumn salad, or stuffed squash, just be sure the get them in season. 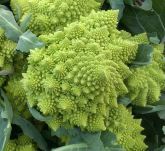 If you like to play with your food, then this vibrant lime green fractal spiraled broccoli-cauliflower cross is just for you. Showing up in the fall, and only for a few fleeting weeks, this delicately flavored vegetable is a great addition to any crudite, or roasted up with some leeks and and topped with some shaved parmesan. Crafted by hand in small batches and using regionally sourced ingredients, Jill Kuehler and her team use a traditional copper pot still to bring juniper and 13 other botanicals to life. Meanwhile, a state of the art vacuum still cajoles quieter flavors including fresh cucumber, honey, rosemary, mint and thyme. Delicious in cocktails for sure, but suggested by the makers it's best enjoyed sipping it with just a cube of ice.